When you create an account for your child, we will ask for personal information about them, like their name, date of birth, gender, height, and weight. You or your child may choose to share certain additional information with us. Your child’s Fitbit device collects data to track their activity during the day. This includes their steps, sleep, active minutes, and more. When their devices sync with a Fitbit app, data on their device is transferred to our servers. Fitbit does not collect location tracking data from your child. When your child accesses his or her account through the Fitbit app, we automatically collect and store information about account connectivity such as IP addresses, browser type, language, operating system, and app and mobile device information (including cookie and application identifiers). We use the information in the following ways: to provide, personalise, and improve our services, authenticate users’ identities, to track activities and exercise, and to provide customer support. We also use the data we collect for internal purposes such as troubleshooting, protecting against errors, data analysis and testing, to develop new features and services, and to promote the safety and security of Fitbit. 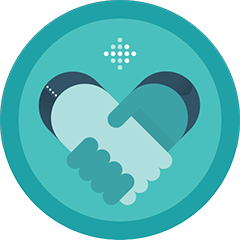 We also use the information we collect to help children connect with other, guardian-approved Fitbit users who are displayed within the family account. Your child’s username, name, activity, and picture are shared with approved connections in the family account. As a parent, you have control of any child’s account within your family account. Once you have signed in to your Fitbit account, verified your email address, and created a family account you can create an account for your child. You can view your child’s complete account at any time through your family account. If at any time you wish to stop further collection or use of your child&apos;s information, you can delete your child’s account by either (1) contacting Customer Support, or (2) deleting your child from the family account and confirming your intent to delete the account in the email we send you. When your child turns 13 (or any higher minimum age required for the creation of a Fitbit account without parental consent in your country), he or she will be eligible to independently manage his or her account. If your child chooses to manage his or her Fitbit account, you will no longer have access to, or be able to exercise control over it through your Fitbit account. If you have questions, suggestions or concerns about this policy, or about our use of your child’s information, please contact us at privacy@fitbit.com or at our postal address below. Effective: 24 May 2018, unless you agree to this policy sooner, like when you create your child’s account. Then this policy is effective as of the date of your agreement.